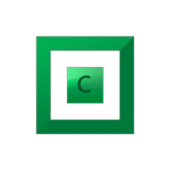 TrueCrypt and DrivePool - General - Covecube Inc.
has support for truecrypt encrypted drives been added to drive pool ? I have searched the forum but I have only found a 2013 topic about it "being implemented". No, we haven't added support for TrueCrypt yet. Unfortunately, its not exactly on our high priority list (especially with the "official" discontinuation of development for it). ANd right now, Alex is very busy trying to get StableBit CloudDrive out. Once that is finished, we'll take a look at this (and a number of other feature requests) and see about implementing them. What kind of support are you guys talking about? Cant you decrypt Disk Y, mount to X:/ and add to the pool? Right now i use bitlocker, during boot it decrypts all disks, then drivepool take them to the pool. The problem is the way that TrueCrypt works. Specifically, instead of using the Virtual Disk service, it creates "containers" for the OS and mounts those directly. That means that it bypasses a LARGE part of the Windows API, which we depend on. Adding support means that we have to change a significant part of our code to accommodate for how TrueCrypt works. However, because BitLocker is a Microsoft technology, it uses all of the built in API correctly. That means it is significantly easier to support BitLocker than TrueCrypt. And is why we recommend it over TrueCrypt (especially with TrueCrypts apparent demise/discontinuation). Now there are alternatives to TrueCrypt: Veracrypt or DiskCryptor or FreeOTFE. Are there any of those alternatives compatible ? It depends on how they work. VeraCrypt states that it's based on TrueCrypt, and appears to be a direct REBRAND of TrueCrypt. So you do not suggest/support any encription program. Do you ? We recommend BitLocker, actually. It's baked into windows, and works seamlessly with the system. Additionally, the "Automatical unlock" option works very well with the pool. However, a lot of people do not trust BitLocker. And TrueCrypt, it's forks and a few other encryption solutions bypass the VDS system altogether. Since that is a big part of DrivePool... they don't work. And would require a nearly complete rewrite of the code JUST to support these products. I'm not trying to start a debate, but just stating this and explaining why we don't support them. neither I will start a debate on this. My paranoic mind thinks too that bitlocker has a weakened encription. I will change my question: are you aware of an open source encription tool that respect Windows APIs and it could be as traspearent as bitlocker ? To be honest, I haven't really looked. I use BitLocker on my blue iris (IP Camera) server, mostly in case somebody steals it. As for something as transparent as BitLocker, I'm not sure. The best one I've see is "Disk Cryptor", and that's not seamless. Hope Disk Cryptor could be more supported. People is really paranoid those times, even for simple personal data/media, and there is an high request for encryption and software which support encryption. So if i want to encrypt lets say 5TB of data on a single HDD that is part of the pool and i want to use VeraCrypt or Truecrypt, i will create fully encryted drive or a container, mount it and then DrivePool will from now on understand it as a standard drive that can be connected to the DrivePool. - what about Windows 10 computer suspension and awake? this will not break anyhow connection of the mounted encrypted drive with DrivePool? Currently VeraCrypt works good in this regard on my Windows 10 PC, unsuspension keep the drive mounted. I am trying to ask if i can face any such significant annoyances or issues that can hurt data safety? Nope. This will not work. TrueCrypt and it's forks bypass the normal disk system, so the drive doesn't show up to StableBit DrivePool. Because of this, the disk CANNOT be added to the pool. Period. Tools like DiskCryptor work because they use a file system filter to encrypt/decrypt the data as it's being written/read from the drive. So, it works with StableBit DrivePool. Hope Disk Cryptor could be more supported﻿. Does the DP have any problem with Disk Cryptor? Your saying gives tha timpression to me..
Nope. This will not work. So it is not possible to encrypt DP pool data using Tru€crypt/V€racrypt? You recommend Bitlocker (or if unwilling, then DiskCryptor), but i will not use Bitlocker (My computer does not have hardware support for the bitlocker and when i was researching i got an impression i give up on bitlocker. Moreover i do not fully trust it). So what is the best way to encrypt all the data that i save on the pool? Create encrypted drives one by one (using DiskCryptor) and then one by one decrypt & mount, then DP will detect them as the part of the pool? Does the DP have any problem with Disk Cryptor? Your saying gives that impression to me..
No, it shouldn't. It uses a file system filter to encrypt and decrypt the data, so it should be invisible to StableBit DrivePool. We've had a few people use it, in the past. ﻿ So it is not possible to encrypt DP pool data using Tru€crypt/V€racrypt? You recommend Bitlocker (or if unwilling, then DiskCryptor), but i will not use Bitlocker (My computer does not have hardware support for the bitlocker and when i was researching i got an impression i give up on bitlocker. Moreover i do not fully trust it). Nope. TrueCrypt and it's forks bypass the normal disk system, so StableBit DrivePool doesn't see the drives. Period. As for BitLocker, you don't need hardware support for it. However, it does make it a bit more of a PITA to use without a TPM module. As for not trusting it, is there a specific reason for it? That said, I personally use BitLocker on my desktop system. But if you don't want to use it, then I would recommend DiskCryptor then. It's free, and open source, as well.